After investigating what educational strategy best prepares students for interdisciplinary research, we found that students benefit most from a gradual approach to open inquiry, and that there is a relationship between the complexity of cognitive tasks and the amount of learning in other domains. We argue that when students are challenged at the right level, with appropriate guidance, the learning domains will reinforce each other. Introducing a course in model-based reasoning (MBR), which teaches students the methodological and cognitive skills needed for interdisciplinary research and problem solving. MBR has been found to play an essential role in the coordination and integration of different fields, and help students with problem analysis, the translation of problems into solutions, setting up a research project, and understanding the cognitive and heuristic strategies needed for the generation of scientific knowledge. Students of the Bachelor’s programme in Technical Medicine often find themselves feeling uncertain about how their capabilities hold up compared to students of traditional disciplines. 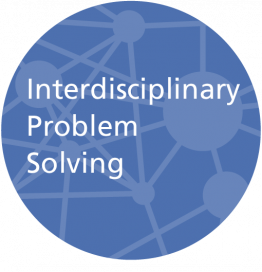 Lecturers – often disciplinary specialists – have to go beyond their own discipline to come up with interdisciplinary project assignments, evaluate interdisciplinary solutions and facilitate interdisciplinary learning. In this talk, we will discuss an educational approach that facilitates the process of integrating multiple disciplinary perspectives by focusing on cognitive skills at two levels and reflection.